You probably have heard this like a million times already but OMG how is it June already? This year has gone by like a breeze for me! I cannot believe we are already half way across the year! 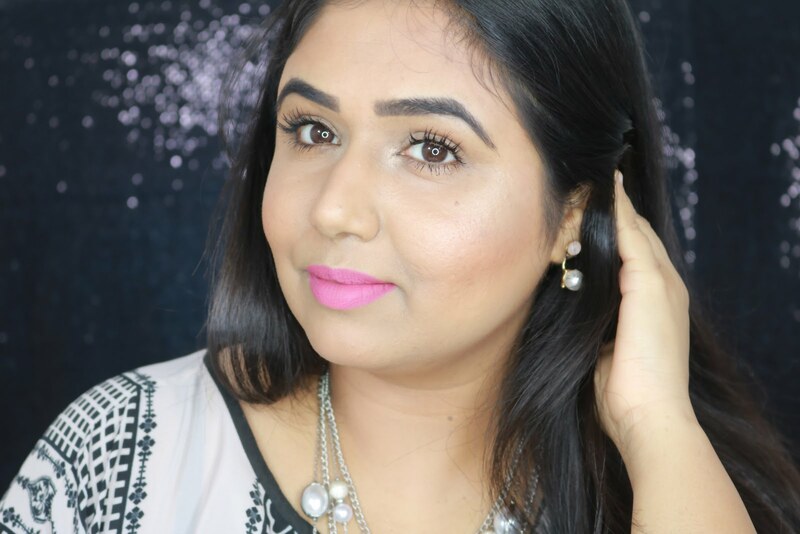 Anyways today Ill be sharing some of my favorite products from May 2016. If you follow me on IG(beautybyparita) which you should as I post my daily skincare routines there along with a lot of the stuff like hauls/first impressions etc, most of these products you would have already seen being used in my daily routines. Lets start with my favorite morning cleanser Glossier Milky Jelly! I have to admit I am a little late on the Glossier bandwagon but now that I am on there is no stopping! There is only one word for this cleanser 'Amazing'! I adore glossier's simple feminine packaging, the cleanser comes in see through plastic bottle with a pump... of course! The texture is so weird! It reminds of vaseline but in liquid form. I remember the first time I tried it on...I used it on dry face and found it really difficult to massage it in. It works much better if massaged in on wet/damp skin. It is completely soap free, sulphate free and fragrance free and does not foam at all but still cleans very effectively without leaving your skin dry and stripped of its natural moisture barrier. This makes a perfect cleanser for morning time or even as second cleanser in the night. Not to forget it is on the most affordable cleanser priced at only 18$ for 6oz or 177ml! Its going to last me a long time! Next up is the Makeup Artist Choice 5% Mandelic Acid Toner! After finishing quite a few bottles of my Pixi Glow Tonic which btw I have reviewed here, I was looking for something a little stronger and one of my favorite YT nurberxo had mentioned about this toner on her snapchat. I already was aware of this brand and how amazing their products were especially for acne prone skin so when they were having 25% promotion I decided to give this toner a try and boy I am glad! Its a fantastic toner/chemical exfoliator for everyday! I saw a huge difference in smoothness of my skin. There is no stinging sensation or peeling at all, the only problem I see is that it does have alcohol in it but as per my research and pls do correct me if I am wrong Mandelic Acid requires alcohol as a base to be as effective. It refines the skin and helps with lightening of the acne marks and spots. It also helps with keeping acne at bay and plus it hasnt irritated my skin or caused severe drying even though it has a PH of 2.5. They always have on going promotion of 20% to 25% on their website and they do offer trial sizes for almost all their products so definitely check them out if you are battling with acne and if you don't mind the alcohol content. Purified Water, SD Alcohol, Propylene Glycol , Mandelic Acid (5%), Camellia Sinensis (Green Tea) Extract, Polysorbate 20, Butylene Glycol, Hydrastis Canadensis (Goldenseal) Extract, Malic Acid, Humulus Lupulus (Hops) Extract, Equisetum Hyemale Extract, Cymbopogon Schoenanthus Extract, Hamamelis Virginiana (Witch Hazel) Extract, Aloe Barbadensis Leaf Extract, Phytic Acid, Ascorbyl Methylsilanol Pectinate. Availability:- MakeupArtistChoice 16.50$ for 8oz! Next is Holy Snails Perseids Oil, I will not go in detail about this oil as I have reviewed it couple of weeks back here. In one line its a fantastic oil with amazing skin benefitting ingredients at affordable price point! 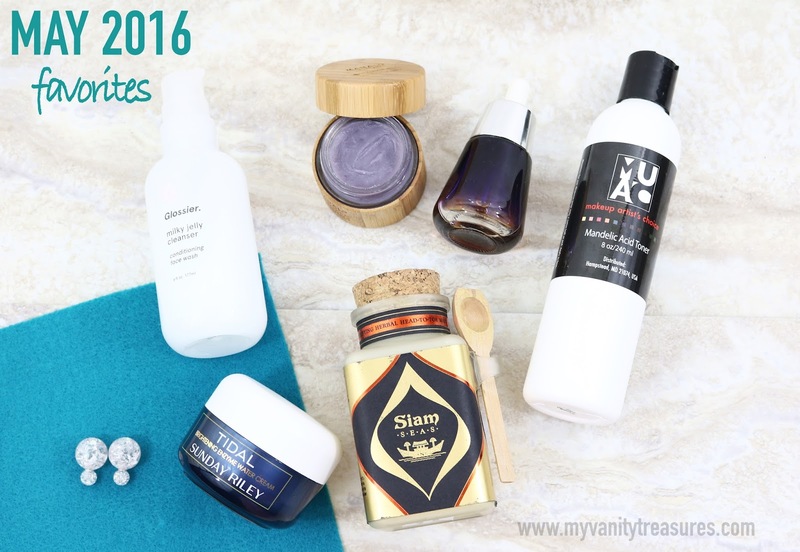 This post will not be complete without mentioning Mahalo's Rare Indigo Balm! When I received the rare indigo balm in my May Beauty Heroes Box I was ecstatic! If you guys love clean, natural and high quality skincare and makeup definitely check out the Beauty Heroes Box, its quite unique and definitely worth it! Next one is a special brand that I came across last month known as Siam Seas. The owner Supadra is the sweetest soul and her products are true reflection of her knowledge in the field of traditional south asian herbs. The ingredients are procured from thailand if I am not wrong and she hand blends each and every product by herself! What intrigued me the most was the unique ingredient list! Its very different from what we see usually in the products. I picked up Purifying Herbals Head-To-Toe Mask to try first and now I want to try her beauty balm and face serum as well! Apart from the exotic south asian herbs it also has one of my favorite ingredient ever ie Turmeric! I love turmeric in my face masks and have used raw grated wild turmeric on face for as long as I can remember! The fragrance of the mask takes me back to my childhood days when we used to make homemade masks using multani mitti (fullers earth) and rose water! Its a very different mask, most of the masks make skin dry, stretchy and irritated whereas this mask does not do that. It gently purify's the skin without making is dry or irritated. It soothes and calms irritated skin and gives a subtle glow. I like to mix the mask with little honey and rose water but you can use plain water as well. The powder is finely milled and another way I love to use it , is as a face cleanser/scrub in the mornings! Absolutely love it and high recommend trying out Siam Seas products for yourself! Ingredients: Calcium Carbonate (natural occurring calcium salt), Limonia Acidissima (wood-apple) Powder, Zingiber Cassumunar (Plai), Curcuma Aromatic Salisb (Wild Turmeric) Powder, Curcuma Longa (Turmeric) Extract, Terminalia Chebula, Acacia Concinna (Som Poy) Powder, Garcinia Mangostana (Mangosteen) Powder, Knema Cotisosa Lour Herb, Pueraria Candollei Grah EX Benth Var Mirifica (White Pueraria) Powder. Availability:- SiamSeas.com 40$ for 200gms! Thats a steal! Last but not the least is the Sunday Riley Tidal Brightening Enzyme Water Cream! I was lucky to win this cream in a giveaway on instagram as otherwise I would never have tried it on my own. I think it was due to the fact that in my back of mind I feel Sunday Riley products are tad bit over hyped and expensive even though Good Genes is my bae but I still feel paying 105$ for a chemical exfoliator is a bit too much but more on that later. The first time I used Tidal I was pleasantly surprised! The cream comes in a plastic tub packaging and contains 50ml of product for 65$..it is expensive! Even though the cream looks and feels like a gel once you start applying on face it does feel a bit more heavier like a cream. Tidal is described on Sephora as "An advanced brightening, refining treatment infused into a next-generation water cream" and its absolutely true! The skin feel brighter and more even toned immediately, the pores look more refined and smaller, the textural irregularities literally disappear! The skin feels hydrated and moisturized the entire day, I oily feel it controls shine and oil throughout the day and its very hot and humid here in florida! Water, Hydrolyzed Jojoba Esters, Glycerin, Caprylic/Capric Triglyceride, Propanediol, Sodium Hyaluronate Crosspolymer, Pentylene Glycol, Tamarindus Indica (Tamarind) Seed Gum, Ethyl Macadamiate, Sodium Acrylates Copolymer (and) Lecithin, Isododecane, Adipic Acid/Neopentyl Glycol Crosspolymer, Lauryl Dimethicone, Hydrogenated Polyisobutene, Strelitzia Nicolai (Bird of Paradise flower) Seed Aril Extract, Alpha-Arbutin, Aesculus Hippocastanum (Horse Chestnut) seed extract, Hydrolyzed Hyaluronic Acid, Allantoin, Papain and Carbome 1, 2-Hexanediol (and) Caprylyl Glycol (and) Algin, Cucumis Sativus (Cucumber) Extract, Melia Azadirachta (Neem) Leaf Extract (and) Melia Azadirachta Flower (Neem) Extract (and) Amino Esters-1 (and) Coccinia Indica Fruit Extract (and) Solanum Melongena (Eggplant) Fruit Extract, Aloe Barbadensis Flower Extract (and) Lawsonia Inermis Extract (and) Ocimum Sanctum Leaf (Holy Basil) Extract, Pearl Powder, Fragrance, Synthetic Fluorphlogopite, Titanium Dioxide, Phenoxyethanol, Chlorphenesin. I hope this post was helpful and if you have any questions or request please leave them below in the comments section and I will get back to you asap!